William was born at Waimate on 14 June 1898, the son of Sam and Catherine Jane (l(ate) of Upper Hook, Makikihi. "Before enlistment William was a musterer in the Mackenzie County and was very popular with his mates, a fine looking young fellow of 6 feet." At enlistment he was working for Sherwin and Sherwin of Fairlie. Wales visited Timaru and William was taken by car to meet him. 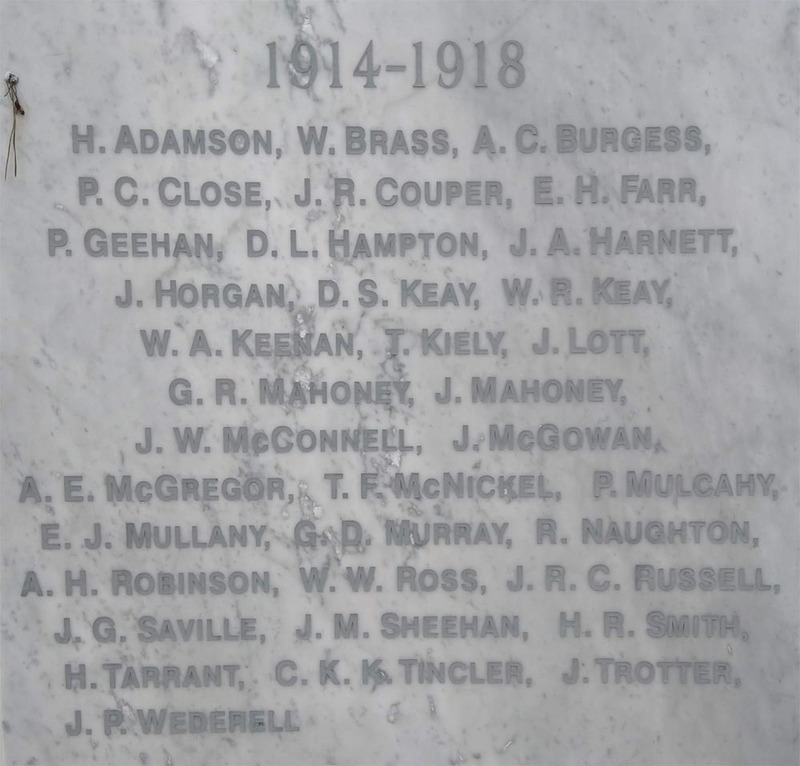 "Keenan, at the Orthopaedic Hospital, Timaru at 3am on Saturday 25 September, Private William Arthur, second son of Mr S. K. Keenan of Makikihi after a long illness, aged 22. Deeply mourned. Military funeral at Waimate on Monday." honours, beside his mother Kate who had died in 1910. His name is remembered on the Waimate War Memorial, the Roll of Honour at the Waimate School, and on the South Canterbury Memorial Wall.